Includes examination of teeth and soft tissues using visual, tactile and imaging techniques including X-rays. Involves removing the build up of plaque and calculus from the teeth and restoring soft tissue health. This appointment also involves education about oral health and advice on at home dental care. Involves the prevention and treatment of gum disease. Gum disease describes a range of inflammatory conditions that affect the supporting tissues of the teeth. The supporting tissues comprise of the gums and also the deeper tissues, including the jaw bone, root surface and the ligament that connects the teeth to the bone. A thorough examination of your gums is performed by our Dental Hygienist and in consultation with the Dentist a diagnosis and treatment plan are prepared. Treatment of your gum disease may require several appointments for the different areas of your mouth to be thoroughly cleaned. A local anaesthetic may be required to numb the teeth and gums to be treated. Deposits of plaque and calculus on the tooth surface above and beneath the gum line are removed using instruments that leave the surfaces clean and smooth. 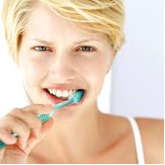 Good oral hygiene is one of the most important factors in preventing gum disease. 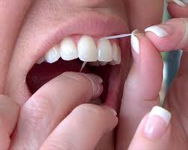 Our Hygienist will provide you with oral hygiene advice including proper brushing and flossing techniques to ensure healthy teeth and gums and to prevent progression of your gum disease. For some severe cases, you may need to be referred to a Periodontist who is a specialist in treating gum disease. Fissures are the grooves that naturally occur on the biting surfaces of teeth. All molars and premolars have fissures to some degree. If the fissures are very deep and narrow, toothbrush bristles can not fit inside to clean effectively. Trapped food and plaque may lead to tooth decay. A fissure is five times more likely to develop decay than other tooth surfaces. Fissure sealants are a hard plastic coating that covers the fissures of teeth. Fissure sealants protect fissures and reduce the chance of tooth decay. Most sealants are applied to molars but any tooth can be treated. Treatment is painless and non invasive, with a coat of the sealant applied to a cleaned tooth. This forms a physical barrier that stops food, bacteria and plaque acids from contacting the tooth surface. As no injections are required, this is an ideal way to introduce your child to modern dentistry.